What do kids love most about Halloween? All the candy and turning into their favorite characters! This Halloween is all about making memories and being the life of the party. 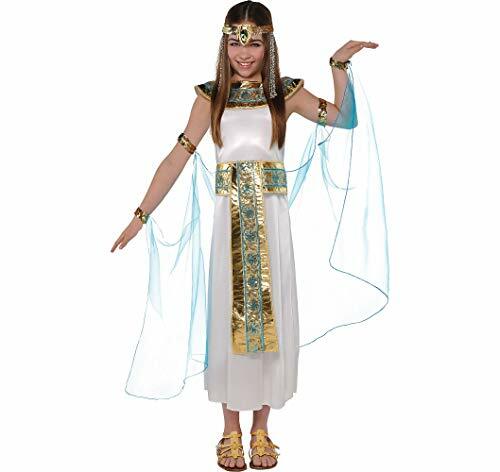 Transform your little ones into the characters they love most with our Shimmer Cleopatra Halloween costume for girls. The creative design and vibrant colors are guaranteed to get them noticed - their best friends and family members will remember their costume for years to come. With quality materials and functional design they will be able to rule all of Egypt while feeling comfortable and at ease. Our Shimmer Cleopatra Halloween costume for girls will make them the most popular kid on the playground! Whether you choose to save their costume for future events or pass it on to a friend, you'll always have the memories of them smiling from ear to ear in this picture-perfect Halloween costume.